In a day and age where every business, small or large, is expected to have their own website, choosing the right people to provide this can be a daunting task, even if you know where to start. It’s not just enough to have good content. 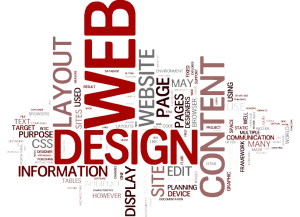 There are many aspects which need to be taken into consideration when building and effective and well thought out website. Some of the vitals being Accessibility, Usability and Compatibility, all go hand in hand. A strong website will cover these with one well put together template to meet requirements, making sure it’s as accessible to all, compatible on as many devices as possible as well as being easy to use. The addition of good graphics and high quality content should then be carefully weaved in to make sure that everything is clear and concise as well as getting across the intended message of the business. Once you’ve decided on how you want to come across as a business or a brand, it’s a good idea to set out your goals and a way of measuring the success of your website over a reasonable amount of time, say six months or a year. 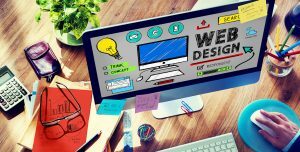 Whilst a meeting with a web professional or a design agency, willing to produce your site may seem like an interview, it is pertinent to that you both remember the most important factor that the website will be designed for: The end user. To make sure this is at the forefront of everyone’s mind, it could be good to ask what approach the designer/s take to usability. Experienced candidates will use phrases like “user-centered design” and “usability testing”. Also, any mention of using focus groups or end user testing is a bonus, as this is a good indication that they listen to clients and visitors/users, to iron out all the niggles. “Content is king” is a famous Bill Gates quote that web developers all over the world still appreciate and stick to. At some point you’re likely to be asked what your goal is, or the better amongst them might ask what your content strategy is. If this is something you haven’t already thought about at length, what you want is for some care to be shown about what content you intend to go on the website, with regards to your brand and how you want to come across. Hopefully, you’ll then receive some enthusiastic ideas and at this point it might be good to ask if you can take a look at similar projects from their portfolio. Portfolio is key. It should have plenty of variety and preferably include testimonials. Also, if any information can be gleaned about the team that worked on these projects, whether they are consistently the same, or possibly freelanced or outsourced. This will give you an insight into how experienced the team are or how the workload will effect the overall outcome of the site. Everyone wants to feel cared and looked after as a customer and the same should apply to your website – It will be your online identity and needs to nurtured as much as it is to be built. So, you get to the point of the conversation where you’re at ease and all your questions are being answered well, with confidence and a smile. The topic of maintenance needs to be addressed. The less savvy customer will forget to budget for this and it will cost extra, usually at a monthly rate. However, if your business is going to hinge on constant web traffic, especially for e-commerce with sensitive information being passed through your website, maintenance like Search Engine Optimisation (SEO) and especially security are going to be crucial. A fluent and concise answer is needed when you ask “How will you keep my website safe and secure”. The answer is, in some ways, more important than how much it will cost. If what gets said next by the people sat in front of you leaves you dazed and confused, or is just isn’t very much at all, it won’t give you the peace of mind you might need. After all of this, it would be good to think about what else will happen after the website is handed over i.e. What if you want to make changes? It is likely that the answer is to set up a Content Management System. This should let you make basic changes, like pictures or blog posts, without waiting on a programmer to do it and without receiving an invoice. All in all, the correct people will be an experienced team, that can show how their work improves your business and are (preferably) easy to deal with over the phone!